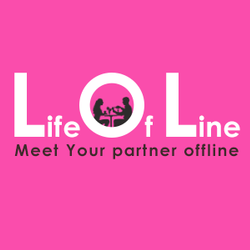 Enrol with LOL and find your partner in Fun and Safe way. Guaranteed marriage program where One-to-One Personalised meets, One to many Meet ups and invitation to all LOL Matrimony meets in your city is available through this program. We have 1000+ Doctors, 3000+ Software Engineer, 1500+ Entrepreneurs and Self Employed and Business Persons, 1000+ Models and Actors and Industry Profiles, 500+ NRI Profiles, 500+ Education Professional, 2000+ Independent Consultants, 40% profiles p.a income above 30Lpa, Minimum Income p.a is 10Lpa, 30% Profiles 20Lpa p.
LOL has organised 230+ events till now where we have made 400+ success stories. All profiles are physically and face to face verified by LOL team. Just call at 8527524999 and book your personal appointment to know more.